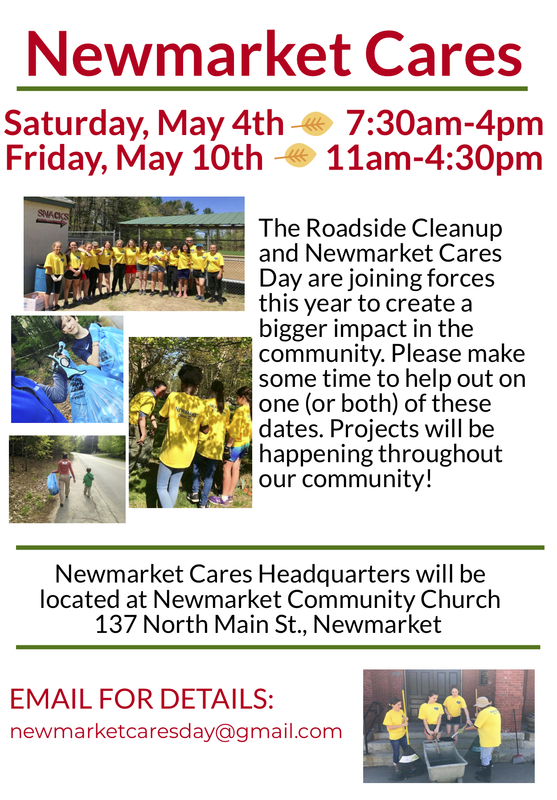 Many programs aimed at improving the community make their home at Newmarket Community Church. Each week nearly 30 students in Newmarket Schools are provided with non-perishable food items for the 68 hours from Friday afternoon to Monday morning when the school breakfast and lunch program is not available. On the first Wednesday of each month, a team from NCC gathers at 10 North Main Street at 5:30 PM to pack the weekly food bags. Ceci Carpenter leads this ministry. Poised to end drug misuse in Newmarket, a group of community leaders meet regularly at NCC to build community programming, provide education, make community connections, and build community support to people who struggle with addiction and maximize prevention opportunities. As part of Phoenix Family Focus which aims to enhance unity, quality of life, and positive and supportive environments primarily for families in the New Hampshire Seacoast area by offering a wide variety of inclusive recreation, education, charitable, and community activities, the Buzz Squad meets each Monday evening at NCC.